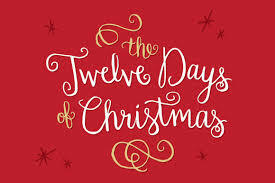 Christmas is almost here and what better way to kick off the festive season than with a 12 days of Christmas prize draw from Abstract Hair Design. Indulge in hair treatments, blow dries, haircuts and Fudge products on us from 1-12 December! To enter look out for our daily posts on both Facebook and Instagram and make sure you ‘like/follow us, like the post and tag some friends who would love a free pamper in the post. The more friends you tag, the greater your chances of winning. A daily winner will be generated at random and announced the following day. Good luck! Entering on Facebook: To enter simply Like our page on Facebook, like the post and tag some friends. The more people you tag, the greater your chances of winning. A winner will be generated at random each day. Abstract Hair Design has the right to withdraw this prize draw without notice.